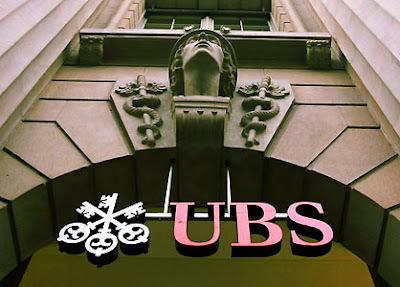 The United States Tax Authority IRS (Steuerbehörde) has asked the Swiss government to aid in the investigation of International Banking & Investment group UBS and their overseas tax havens programs which some have reported amount to intentional tax evasion and fraud. Art Basel is mentioned as the go to location for foreign employees of UBS to illegally recruit wealthy individuals to help them avoid reporting billions of US dollars in assets. Clients were at times told to use code words when communicating with UBS. Testimony states that roughly 80 UBS bankers traveled to the US 4-6 times a year to pitch the bank’s secretive services to clients at upscale events as Miami’s annual Art Basel fair. The bankers used encrypted computers, devised codes for their clients’ identities, told Customs agents the trips were for vacations, notbusiness, and advised clients to place jewelry, paintings and other assets in Swiss safe deposit boxes, Birkenfeld testified in June, when he pleaded guilty to helping California billionaire Igor Olenicoff evade $7.2 million in U.S. taxes. Former LGT computer technician Heinrich Kieber helped tax investigators around the world flesh out those statistics by handing over data on approximately 1,400 of the bank’s clients. Kieber is in hiding as Liechtenstein authorities seek him on charges of violating secrecy laws.